Following up on the article I wrote about electromagnetic field treatment of the deadliest brain cancer the FDA has now approved the device, manufactured by Novocure, for treatment. A prominent physician I know recently told his story about suddenly developing a disabling sensitivity to electromagnetic fields. Given the biases in medicine about crazy people wearing tinfoil hats, etc., he was courageous to do so. We have learned that birds can apparently see/perceive latitude and the earth’s electromagnetic fields. (See Jennifer Ackerman’s The Genius of Birds). Is it unthinkable that some of us are affected, even harmed by electromagnetism? First, consider the fundamentals. Thinking is an electrochemical process. As chemistry is the elder and more easily understood science, those aspects of brain function have garnered the lion’s share of investigator’s attentions. However measuring patterns of electrical activity in the brain is another way to investigate brain processes. One important tool, the EEG machine (ElectroEncephaloGraph) has been vitally important to clinicians in the process of diagnosing and managing seizure activity for over one hundred years. As we grow in our understanding of the electromagnetic activities of our brains, it isn’t much of a leap to consider using electricity to alter brain function. Sounds great. Then Frankenstein’s monster jolts into my mind. As Shakespeare wrote: “Within the infant rind of this small flower, poison hath residence and medicine power”. Treatments always carry risk as well as benefit. How do we go about it? Precisely how we can safely and effectively administer electromagnetic energy to a brain is a great mystery fraught with dangerous possibilities as well as healing potentials. A very interesting study of electromagnetic pulses got some decent media coverage earlier this year. 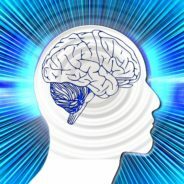 Researchers at the University of Pennsylvania discovered that electromagnetic pulses could either improve or impair memory functions. When the pulses were administered during times patients’ brains were functioning well, their memory abilities dropped. Conversely, when the pulses came during poor functioning times, brain function improved. This might not sound like much, as the best result was no better than the subjects brains were already functioning at good times. It didn’t make them super. However, we all have ups and downs and for people with cognitive difficulties (e.g., Alzheimers, stroke or traumatic brain injury) the low times are typically dramatically worse than their good times. Those spells of impaired brain function have a major impact on quality of life and impede recovery. Eliminating them is likely to make a big difference for these patients. These developments are very exciting. I believe we are on the threshold of further important discoveries.